Celeb Gossip News – Fantastic Beasts 2 end credit scene: Harry Potter SHOCK ending – Did you spot THIS clue? The Fantastic Beasts sequel has finally opened in the US and the UK to rather mixed reviews. One of the biggest complaints is that it packs in a lot of twists and turns whiel also manoeuuvering all the characters into place for the next three fims. The is especially true for Albus Dumbledore, Grindelwald and Credence. The end scene reveals one of the biggest shocks in the entire Harry Potter universe – and one that no previous theories or rumours came close to guessing. It is an impressive twist but were the clues teased earlier on in the movie? 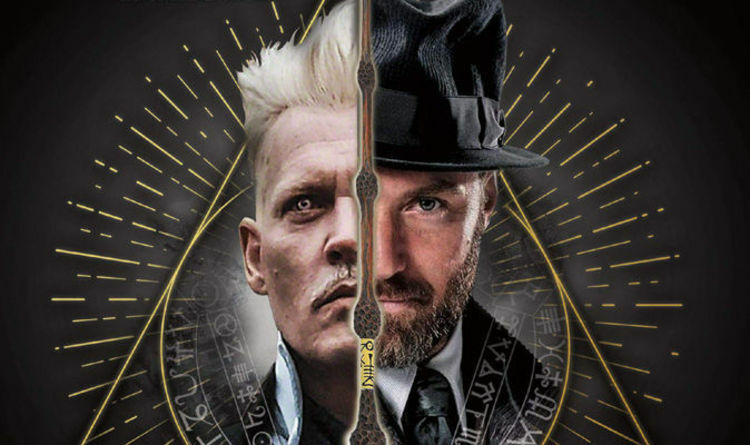 The identity of Credence (formerly) Barebone is the driving focus of the second movie. It is why he is eventually drawn to Grindelwald, who promises the only answer he seeks. There is also a reason why we now have to start referring to the beloved Harry Potter Hogwarts headmaster by both his names. There is suddenly another major Dumbledore in the story. Griendelwald makes the staggering revelation in the final scene, and even provides the family’s iconic phoenix as proof. During an earlier scene with Leta Lestrange, Albus talks about his lost sister and says he should have loved her better. Fans know that Ariana Dumbledore had a tragic life, attacked as a child, unstable and unable to control her magic. She accidentally killed her mother and, in turn, died during a battle between her brothers and Gellert Grindelwald. But what if she had a secret child? Credence is the perfect age to be Albus’ son, ofcourse, but JK Rowling made it clear that the beloved wizard is gay. He also remains heartbroken that the love of his life turned into the greatest threat the world has ever seen and rather unlikely to have ever sought comfort from any other man or woman. The other Dumbledore sibling, Aberforth, is a genial bachelor in the later films and there is no evidence of a secret child in any of the Potter histories. Plus, the inclusion of that heavily featured moment between Albus and Leta now seems to have been used to reintroduce Ariana into the storyline. Rowling and the filmmakers seems to be stretching some of the existing Harry Potter histories to breaking point (like including Professor McGonagall who shoudln’t even have been born yet) and it remains to be seen how they will explain Credence’s sudden inclusion in one of the most famous wizarding families. This film has no more secrets to reveal, though, and there is no mid or end credit scene to tease what comes next.